Click the icon table to view the annual result page. astalavista I hope TF' s AirAsia.com does very well in long run..
129055444514385 EPF started selling airasia shares.............. sigh! 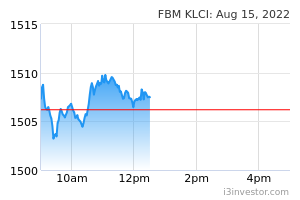 nckcm Told u sell down coming... only stupid people buy because of dividend..
Betkaukau Sell down is good. Can collect lower..
Betkaukau Hope can collect some at 2.00-2.10 next week? Air_Asia I go elsewhere try to talk but find more cowards here. Air_Asia If you don't like somebody talk bad immediately you reply why not in AA? Air_Asia Are you all aware i3 got report abuse function? I_like_dividend 22 sen dividend nobody keep for long term? Who sell? Air_Asia HLX4U no more postings bec cut loss? NEW DELHI: India’s Tata Sons Ltd may increase its stake in AirAsia India to 51 per cent by buying the shares held by two minor partners, the Times of India reported today. AirAsia Group Bhd and Tata Sons each have 49 per cent stake in the India-based airline while the remaining two per cent stake is held by AirAsia India Chairman S. Ramadorai and Non-Executive Director R. Venkataramanan. Following the acquisition, Tata Sons will gain control of the airline. Under Indian laws, a foreign entity cannot have a controlling stake in a domestic carrier. owning 49 per cent, and Indian partners Tata Sons and businessman Arun Bhatia’s Telestra Tradeplace Pvt Ltd controlling 51 per cent shareholding. The Times of India, citing an unnamed source, reported that the board of Tata Sons had discussed acquiring Ramadorai and Venkataramanan’s stakes in AirAsia India but no date was fixed to close the transaction. HLX4U Air_Asia HLX4U no more postings bec cut loss? Im a shareholder not a trader! 129055444514385 repeat the same price or go higher soon? The Board of Directors of AirAsia Berhad (“AirAsia” or “the Company”) wishes to announce that the Company has adopted a dividend policy to pay an annual dividend of up to 20% of the net operating profit earnings per share (per the audited financial statements of the Company), rounded to the nearest whole sen number, provided that such distribution will not be detrimental to the Company’s cash flow requirements. This dividend policy shall commence for the financial year ending 31 December 2013. The Board of Directors of AirAsia had also recommended a final single tier dividend of 6 sen per ordinary share of RM0.10 in respect of the financial year ended 31 December 2012, payable in cash to the holders of ordinary shares of the Company, subject to the approval of the shareholders at the forthcoming Annual General Meeting of the Company to be convened on a date to be announced later, at the entitlement and payment dates to be determined and announced at a later date. The single tier dividend is tax exempt in the hands of the shareholders pursuant to paragraph 12B of Schedule 6 of the Income Tax Act, 1967. The notice of dividend entitlement and payment shall be announced and advertised at a later date. This announcement is dated 26th day of February 2013. 129055444514385 Meanwhile, AllianceDBS Research said AirAsia’s outlook remains steady as market leader in the industry with 41.7% market share. “Expansion plans are under way with 18 new aircraft for 2019. Available seat kilometres (ASK) is expected to grow at 9.8% and revenue passenger kilometres at 10.1% backed by load factors of 84.7%. Subdued fuel prices would help support earnings,” it said. indiawait It is normal for a CEO to be bullish on his own company. Perfectly OK as long as he is not taking others for a ride. please sell all run allll while you can. nckcm AA going down.. leave this stock and invest in other stocks.. come back when everything stabilize.. good luck. After ex dividend can get even cheaper price. BluffIsFree Special dividend coming soon. Oil price vs sd. Which has more effect on aa stock price? graynoize8 Tak boleh tahan don't lah invest. You win some you lose some. Down short to mid term all making noises. Apa takut. Already holding three years plus, buy and sell according to market reactions. Doing well so far, still earning well and makan good dividends. KassimBaba7 AA ah AA.. sudah buy some cheap then u wan drop me more than 10 sen.. Kena makan roti prata tony nih... 2 times this year makan prata tony liao. Lucky in between got sell for some naan - kena scam balik pula haha... padan muka I.